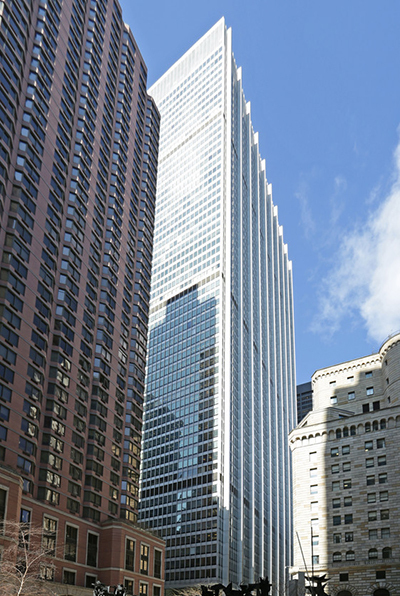 Manhattan, NY According to Fosun Hive Holdings, SCOR, an independent, global reinsurance company, has leased 75,000 s/f on the 53rd and 54th floors of 28 Liberty St., a landmarked office tower. 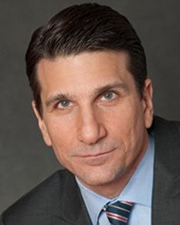 The Paris-based global reinsurance company is relocating its NYC headquarters from 199 Water St.
Thomas Costanzo, managing director of leasing for Fosun represented the property owner. 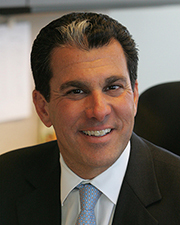 Also representing the owner were Peter Riguardi, chairman and president of New York operations; Mitchell Konsker, vice chairman; John Wheeler, Michael Berman and Daniel Turkewitz, managing directors; and Eliza Akers, VP, all with JLL. 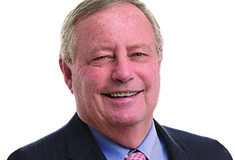 Merrill Roth, vice chairman with Newmark Knight Frank, represented the tenant. In the past several years, Fosun has completed a total of 1.4 million s/f of office leasing in the 28 Liberty tower. 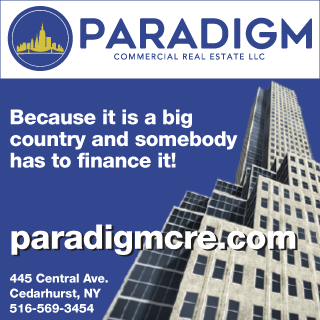 Notable leases include 340,000 s/f for the Office of the New York State Attorney General; 130,000 s/f for media company Wolters Kluwer; 75,000 s/f for the London Stock Exchange; and 53,000 s/f for Booking.com. Fosun also managed the construction of 600,000 s/f of turnkey fit-outs in-house. Fosun has recently completed construction on Marketplace 28, a 200,000 s/f retail destination at the base of 28 Liberty with multiple street-level access points and glass facades to engage pedestrian traffic and open sightlines. Marketplace 28, like all of 28 Liberty, is accessible to six subway lines and is a five-minute walk from the Fulton Street transit hub and the World Trade Center transit hub, connecting it to nearly every mass transit line in New York City, and to New Jersey via the PATH. Alamo Drafthouse Cinema has leased 40,000 square feet in Marketplace 28 for a 600-seat, 10-screen theater that is scheduled to open in the fourth quarter of 2019. In addition, Legends Hospitality will operate a culinary and live entertainment destination to be designed by Jeffrey Beers in 35,000 square feet of space on the ground floor of Marketplace 28. At the top of the 28 Liberty town are the extraordinary Manhatta and Bay Room, the newest restaurant, bar and event venue from Danny Meyer’s Union Square Hospitality Group. The restaurant and venue offer breathtaking, 360-degree views of the New York skyline. At the base of the 28 Liberty tower is the landmarked plaza, an open space that is regularly programmed with arts, cultural and community events. Events on the plaza include Sing for Hope Pianos, a yearly initiative that gathers local artists to create pianos that are displayed on the plaza in June and then placed in public spaces before being donated to New York City Public schools. The plaza has also been host to the Lower Manhattan food festival Dine Around Downtown, the annual arts festival River To River, Summer Movie Nights and numerous other events. Americans for the Arts recently has named Fosun and 28 Liberty as a 2018 recipient of the BCA 10: Best Businesses Partnering with the Arts in America Award for its commitment to supporting arts and culture both internationally and in the United States through Fosun Hive Holdings.